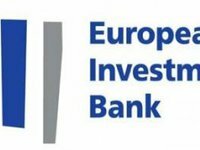 The European Investment Bank (EIB) and the European Investment Fund (EIF), which are the members of the EIB Group, have issued EUR9 million guarantees to Ukrgasbank (Kyiv) to support lending to small and medium-sized enterprises (SME). According to the EIB's website, the corresponding decision was approved by the group on November 16, 2017. The guarantees are provided in the framework of the Ukraine-EU Association Agreement, the agreement on the Deep and Comprehensive Free Trade Area with the EU (DCFTA). The total volume of the loan project is estimated at EUR77 million. It is assumed that loan guarantees will facilitate access to financing for SMEs by providing a guarantee of 70% for each loan with further expansion of financing on the terms that reduce collateral requirements. Ukrgasbank was established in 1993 and as of January 1, 2017 the state represented by the Ministry of Finance owned 94.9% of its shares. Ukrgasbank ranked fourth among 88 banks operating in the country in terms of assets as of October 1, 2017 (UAH 71.079 billion), according to the NBU.